Luxury cars are expensive to buy and maintain but generally lack the kind of reliability that buyers of mainstream cars enjoy. The massive gulf in terms of performance and refinement between everyday cars and luxury cars has gradually been chipped away by the astounding improvements made by even the most modest of mainstream cars; reducing the need to move up to a higher cost car. In addition, advanced safety features, like active cruise control, blind spot, pedestrian and lane departure warnings, once the preserve of high-end luxury cars, are now available on the most modest of new cars, making the move up the price scale less necessary than ever before. Increasingly, the "Key Fob" factor, the prestige of having a fancy badge on your keyring, or the need to burn through a company car-allowance, are the key reasons to venture into the luxury market. With draconian U.S. fuel economy laws (now under review) have led to smaller, higher-stressed engines, refinement, or more importantly, the intoxicating multi-cylinder aural delight that used to be such a part of the "luxury" experience, is no longer available from many luxury cars, making a "lesser" car a more viable choice now. Many of the cars in this segment are based on traditional rear-wheel drive architectures. Rear-wheel drive is essentially a market-killer in Canada, and most of the rear-wheel drive based cars in this segment offer all-wheel drive, which is how most are sold. Many of the cars in this segment are equipped with large diameter, low-profile performance tires that are hard-riding, quick-wearing and expensive to replace. Winter tires for the larger wheels can be very expensive when you can find them, which is not always possible. The biggest news in this segment for 2018 are the new Genesis G70 and Kia Stinger, the related rear-wheel drive layout sedans which give their makers a vehicle to compete with the Audi A4, BMW 3-series and Mercedes C-Class triad that dominate the compact luxury segment. GM has replaced its Canadian built Buick Regal with a new, German-assembled version of the car. There has been a move downmarket by several luxury brands, descending into price categories they have not ventured into convincingly before in North America. With the front-wheel drive-based CLA and B250, and the Audi A3 sedan, both Mercedes-Benz and Audi are going after big volumes by tempting aspirational buyers with mainstream budgets into cars with "prestige" badges. Infiniti has joined this trend and introduced the Mercedes GLA-based QX30 in Canada several years ago. To reflect this move downmarket, Lemon-Aid created a "Premium Compact" car category several years ago. If you are looking for reviews of the Audi A3, the Mercedes B-Class and CLA as well as the QX from Infiniti, you can find them there. Sales in this segment are robust, with many nameplates enjoying year-on-year sales increases. Part of the reason for robust delivery figures are cheap leases that make driving an entry-level version of some fabled brands no more expensive than it would be to pilot a more prosaic car. This strategy is has been warmly embraced by consumers. A mid-cycle refresh of the Acura TLX for 2017 went on sale in June of 2017. Exterior updates include Acura s 5-point grille, new hood, front fascia, L.E.D. headlamps and restyled alloy wheels. Cabin revisions include a new type of touchscreen with capacitive touch operation. Revised cabin colour choices. New A-Spec sport themed parallel trimline. Driven in (no longer offered) Elite front-wheel drive form, the TLX's 3.5L V6 was, except when it wails deliciously at high revs, smooth, quiet and very quick. While its unusual gear selector is initially confusing, the TLX's nine-speed automatic transmission delivers smooth up and downshifts and very relaxed cruising. Unlike some "sports-luxury" cars that veer too much into the "sport" vein, the non A-Spec versions of the TLX combine crisp handling with a comfortably absorbent ride. Steering, with good gearing, nice weighting and good directional stability, is quite pleasant. The Acura TLX is sold as a luxury car, and in terms of performance, refinement and ride comfort, it is a great success. The interior is where the TLX is found a bit wanting. The dashboard houses crisp instrumentation and looks uncluttered, but primarily because so many functions, including the ventilator fan speed, are accessed through a touch screen. Not ideal. Cabin trim will no doubt prove durable but don't reflect the level of luxury expected in this class of car. All seats were comfortable and there is sufficient space for those in the front seats, but access to the back seat is not the easiest and legroom is on the tight side for such a big car. It is a bit of a mystery, given that the TLX is based on the very roomy Honda Accord, as to why the cabin of the TLX is not more spacious. Reasonable trunk space. Very good heating and ventilation during early winter testing. However, the various active safety systems were essentially disabled by slushy snow. Very good audio system. Power choices include a 2.4L direct-injection four connected to an eight-speed dual-clutch automated manual transmission with a torque converter, and a 3.5L V6 hooked up to a nine-speed automatic. Extensive active safety features such as Collision Mitigation Braking, Forward Collision Warning, Lane Departure Warning, Lane Keeping Assist System, Adaptive Cruise Control with Low-Speed Follow and Blind Spot monitors with rear cross-traffic-alert, are available on the new TLX. Insanely broad model range for such a low volume car. The all-wheel drive V6 models are priced from $5000 to $5200 more than the equivalent 2.4L front-wheel drive variants. The Technology package, which includes navigation, an upgraded audio system and various active safety equipment, is a bargain. The Elite trim level is priced to reflect the value of its additional content.. The A-Spec trims offer little of value for the money asked. Very good value leasing. Predicted reliability is very good. Maintenance and repair costs of an Acura are much lower than the European brands competing in this segment, and comparable to a well-equipped Honda Accord. The S-Line trim is standard for 2018 and L.E.D. headlights are standard on all but the base Komfort trim. Though all new, very Audi and quite elegant, the styling of the new A4 represents absolutely no progression in design or modernity and is such, deeply disappointing. If the current A4 sticks around as long as its predecessor, it will look very old in 2024. The interior is all new and is an improvement over its disappointing predecessor. Big, clear gauges are separated by a large info screen with impressively crisp graphics. The gauges are grouped together in a housing, with infotainment functions handled by an aftermarket-looking screen that grows out of the middle of the dash. The very horizontally-arrayed dashboard has a very BMW design ethos. Cabin materials are much more attractive than those in the previous A4. Rear legroom now is such that the new A4 can be considered suitable transport for four adults. Equipped with a 2L turbo four with 252 horsepower and 273 lb-ft of torque, the A4 accelerates briskly and is both smooth and flexible. The 2L turbo's power is ably handled by creamy smooth and responsive dual clutch automated manual transmission. Handling is very sound and the ride is very compliant. Wind and road noise are nicely suppressed. The A4's steering is not the last word in feedback but is nicely geared, precise, and confidently holds its line on the highway. Strong brakes. The front-wheel drive A4 base model is offered in Komfort and Progressiv trims. The 252 horsepower all-wheel drive Komfort and Progressiv trims are priced $4700 more than the 190 horsepower front-wheel versions of the same trims. The Progressiv trim upgrade is good value regardless of the drive system; with the quattro exclusive Technik trim priced to reflect the value of its extra features. Reasonable value option packages. The Allroad wagon is priced from 3500 (Komfort) to $4500 (Technik) more than a quattro sedan of the same trim level. At up to $10,300 more than an A4 of the same trim level, each horsepower of the 102 additional horsepower of the S4 is very expensive. New car, not rated. All-new platform and revised power units. Predicted reliability is average at best for the first four years, declining after that. The warranty ends at 80,000 km, with no further coverage on the powertrain. Carbon deposits on valves common; cleaning them is a laborious and expensive process. Some owners have reported the timing chain on the 2L four has jumped a tooth on the sprockets. High service costs. The Audi service plan, which offers regularly-scheduled service (first service at 8000 km is complimentary) for four years or 70,000 kilometres is highly recommended. Expensive parts. Highway Fuel Economy: 7.0L/100 km. Active Safety Features: Available blind spot and rear cross traffic warnings as well as adaptive cruise control with stop and go and active lane keep assist. Few changes of note as the current 3 Series this year except for big price increases on the wagon and hatchback body styles. The 2L turbo four in the 330i delivers performance as strong and eager as their old inline six-cylinder engines, but lacks the stirring soundtrack of its predecessor, a major compelling reason for buying a 3-Series previously. The, responsive eight-speed automatic transmission ekes out every bit of energy available from the turbo four. The auto-start-stop mechanism is noisy, intrusive and frustrating in traffic, but can be disengaged. Driven shortly after the introduction of the current generation, the steering on the 3-Series was light and not particularly communicative and its able handling lacked any real sense of engagement. BMW appears to have been quietly working on the car over the past few years and a recently driven 330 base model was, with direct, communicative and precise steering, lithe handling and firmly compliant ride, a delightful road companion. Staying with the base tires and suspension package and not being seduced by the look of larger wheels and the promised performance potential of sportier suspension packages, is the way to maintain an optimal ride-handling balance that delivers confidence on the open road but also provides an acceptably supple ride in the city. The 3-Series seems to have overcome the the disappointing dynamic characteristics it exhibited when released and now performs more like its much acclaimed predecessors. That said, the 2L four, while still fast and flexible, retains is distinctly agricultural soundtrack which makes owners long for the siren call of the inline six. Weak air-conditioning performance. Strong brakes. The 3-Series can accommodate four people easily enough. Comfortable seats. The cabin design is very BMW, which pleases some observers but is looking quite dated to others. Small main gauges feature lacklustre graphics. Minor controls are too numerous and have a hollow feel when manipulated. Cabin materials are unimpressive, especially at theses prices. There are some pleasant two-tone cabin colour combinations but the beige interior hue will soil easily and looks cheap, even with leather upholstery. Tested against the Audi A4, Infiniti Q50, Genesis G70 and Mercedes C300, the 3-Series was judged nicer overall than the Mercedes, but behind both the Infiniti, Audi A4 and disappointing when compared with the new G70. The 3-series Gran Turismo is built on a 110 mm (4.3 inch) longer wheelbase, and is 200 mm (7.9 inches) longer overall than its wagon counterpart. Greater height bestows considerable space efficiency to the car, which has an impressively roomy cabin and a tall, regularly-shaped and versatile cargo hold. With frameless door glass, the roofline looks light and airy and the car is much more attractive than the ungainly 5-series Gran Turismo that introduced the tall hatchback concept at BMW. As a roomy, versatile capsule, the 3GT is the best 3-Series. BMW sees no marketing conflict between the 3GT, X1 and 3-Series Touring (wagon in BMW speak). The traditional station wagon, marketed as the Touring, is offered with two 2L fours, one gasoline, the other diesel. The 3-Series offers a massive array of engines throughout its lineup. A 2L gasoline turbo four (330i) is the mainstream engine for 3-Series buyers. A 184 horsepower 2L turbodiesel (328d). is available as is a 180 (combined) horseoswer 2L four-cylinder hybrid model. Six cylinder variants include the 320 horsepower 340i and the 425 horsepower turbo six found under the hood of the M3. The price gulf between the 330i and the 340i is nearly $9000. All-wheel drive is standard on all trims except for the 340i, where it costs $2700 extra. The Touring station wagon is priced $3000 higher than the sedan (nearly twice as much as last year) and the GT hatchback costs from $4760 (328i sedan with leather) to $5750 (340i sedan) than the sedan with the same engine (nearly twice the gap as last year). Opting for the diesel in place of the 2L gasoline four costs and extra $1500 on the sedan and wagon. On the 330i xDrive sedan, the MSport and MSport II option groups are a bit overpriced. On the 340i xDrive sedan the Premium Essential is acceptable value but the Premium Enhanced option group is extravagantly priced. Good value leasing. Average reliability during the warranty period. Capricious electrical system. Free four year/80,000 km scheduled servicing that competitors charge for. Expensive servicing after that. The APA has received complaints regarding oil sludge build-up in the variable valve-timing mechanism. The APA recommends oil changes every six months or 10,000 kilometres, even though they are not included in BMW's four year/80,000 kilometres scheduled service plan. Short powertrain warranty with no coverage past four years/80,000 km. BMW is not a signatory to the CAMVAP arbitration protocol. Some complaints about defective vinyl upholstery on recent BMWs. 2L-4 T (248 HP, 330)*, 2L-4 TDI 184 HP), 2L-4 H (180 HP), 3L-6 T (320 HP 340i), 3L-6 T (425 HP: M3). Additional airbags: knee airbags for both front occupants. Some price realignments within the model range including a smaller price increment for selecting AWD on the 440i and offering the coupe and sedan (Gran Coupe) at the same price. With the 4-Series, BMW split the two door body styles from the four-door 3-series. However, in the spirit of micro-niche filling the German automakers have become such proponents of, BMW has created a four-door version of the 4-Series it has named the Gran Coupe. Cabin styling is much like the related 3-Series, fundamentally practical but the design themes are looking tired and cabin components don't reflect the level of luxury expected of a car at this price point. Two engines, a 2 L turbo four (430i) and a turbo inline six (440i) are offered on mainstream models, with a 425 horsepower 3L turbo six powering the custom-order M4. Rear-wheel drive is standard but all-wheel drive is optional except for the M3, which is exclusively rear-wheel drive. Transmission choices include a six-speed manual or an eight-speed automatic on the 430i, and 440i, with a seven-speed automated manual dubbed "DCT" offered on the M4. Complex model lineup. Coupe: the six-cylinder engine in the 440i costs an extra $6200 compared with the four-cylinder 430i. The same upgrade in the convertible costs $9450. All-wheel drive, is standard on all models except for the 440i coupe, where it commands a $700 premium. Depending on engine choice, the convertible body style is priced $10,450 to $13,700 higher than the coupe. The sedan (marketed as the Gran Coupe) is priced the same as the equivalent coupe this year. Expensive metallic paint surcharge. The high-performance M4 is so much more expensive than the mainstream variants that it is really in a different market segment. Average reliability during the warranty period. . Capricious electrical system. Free four year/80,000 km scheduled servicing is standard compared with direct rivals from Mercedes-Benz and Audi that charge extra for this coverage. Expensive servicing after that. The APA has received complaints regarding oil sludge build-up in the variable valve-timing mechanism. The APA recommends oil changes every six months or 10,000 kilometres, even though they are not included in BMW's four year/80,000 kilometres scheduled service plan. Short powertrain warranty with no coverage past the four year/80,000 km warranty. BMW is not a signatory to the CAMVAP arbitration protocol. 2L-4 T (248 HP 430i), 3L-6 T (320 HP 440i)*, 3L-6 T (425 HP: M3)..
Additional airbags: Knee airbags for front seat occupants. What’s new An eAssist light hybrid powertrain is standard on the Preferred and Essence trim levels. Buick s Avenir super premium trim level, which launched on the new Enclave, migrates to the LaCrosse this year. The 3.6L V6 engine is now linked to a nine-speed automatic transmission that replaced the previous eight speed. All-wheel drive is now available on the Essence model for 2018. Buick's new corporate grille fronts a car that is cleaned lined, with some carefully thought out bright accents. The sweeping dash, with clear gauges and visually calm controls, flows into the centre console. 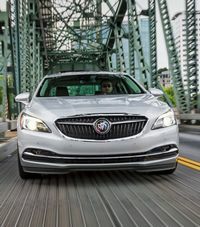 Chic colour combinations, but the faux wood accents should look more convincing than they do but Buick makes up for this failing a bit by attractive alloy accents and copious soft-touch surfaces. Two powertrains are offered. The base engine is a 2.5L four equipped with GM's eAssist light hybrid system. Most buyers will likely select GM's familiar 3.6L V6. Power reaches the wheels via a six-speed automatic transmission with the four and a nine-speed with the V6. All-wheel drive is optional with the V6. Previously built in Canada, the LaCrosse is now imported. Driven briefly by the APA, the V6 powered LaCrosse is quick, quiet and very smooth. The transmission works very well but its joystick like gear selector is confusing to use. The LaCrosse demonstrates an absorbent ride but not at the expense of handling, which is steady and predictable. Nicely weighted steering and strong brakes with good brake feel. Moving up from the Preferred to the Essence trim, which includes leather upholstery, xenon headlamps, wireless phone charging and a memory setting for the driver seat and door mirrors, balances price and content precisely and is a model most buyers would be satisfied with. The price gulf between the Essence and the Premium is quite large but includes the V6 engine, which is a $2875 option on the Essence trim. There is no pricing yet available for the range-topping Avenir trim but the value of its additional features compared with the Premium model is about $4000. All-wheel drive is a $2800 option on the Premium trim, the only model where a pricing comparison is available. Good value Driver Confidence 1 package but other option groups look overpriced. Good lease value for 2018. New model, not rated. A GM extended warranty is recommended if you plan to keep this car past the warranty period. Developed as the Opel Insignia before GM sold its European operations to PSA (Peugeot-Citroen), this new Franco-German hatchback will be sold in Canada as a Buick. This new Regal was designed by Opel, GM's European subsidiary, and released there just as GM sold its European operations to PSA. Built in Germany by a French-owned company and distributed in Canada by General Motors, the new Regal has had a traumatic birth. The new car is built on a 91mm (3.4 inch) longer wheelbase, but is roughly the same size as its predecessor. When the car was first shown, the sole engine for Canada is a 250 horsepower 2L four, but a GS trim featuring the ubiquitous GM 3.6L V6, was available by the time the car went on sale in late 2017. Only the 2L turbo is offered with front-wheel drive with both engines available with all-wheel drive. Two automatic transmissions, an eight-speed with front-wheel drive and a nine-speed with all-wheel drive, are available. Canada gets only a conventional five-door hatchback version of the car, but U.S. buyers can also chose a station wagon that, with jacked up suspension and various fender flares, been given the "Outback" treatment. The new Regal is a study in conservative elegance, with some nicely-rendered bright accents. The cabin of the new Regal features crisp displays, a traditional style and is fashioned from attractive components. Seating comfort and room is good up front and in the back and cargo space is both ample and versatile. The previous Regal never sold enough units in Canada to justify its presence on the Canadian market but at least it was built in Oshawa, which pleased those wanting to buy a locally produced car. This new car, built in Germany by a French company and distributed here by the Canadian subsidiary of an Ameircan firm may have too many strikes against it from the start to consider and GM, like Mazda with the 2 and Nissan with the new-generation Micra, should probably left this vehicle at home. Limited model range with just one trim level, the Preferred II, offered on the front-wheel drive Regal. With dual zone automatic air conditioning, keyless go with remote starting, satellite radio and a heated steering wheel, is quite well equipped for $33,695. The Essence and GS trims are exclusively all-wheel drive. The Essence boasts leather seating and the GS includes a wealth of luxury features, including the smooth 3,6L V6, for a price that closely tracks the value of the additional content. Great value Driver Confidence and Sight and Sound packages. Leasing was not offered in late 2017. New model, not rated. The engine and transmissions are common to other GM cars so there should be no problems with basic mechanical parts but all the body work and trim are unique and replacement parts could become a real issue as the car ages. New for 2018 is the 2nd-generation Cadillac User Interface (CUE), which is stated to be more user friendly and incorporates the CarPlay-Android Auto interface that overlays the cellphone operating system onto the manufacturers logic system. Luxury and Premium Luxury trims feature heated seats and a steering wheel that switch on automatically when low temperatures are sensed. Apple watch users can sync their watches to their ATS and use it to perform simple functions like locking-unlocking doors, sounding the car alarm as well as finding the car and starting it remotely. GM has announced that the ATS sedan will be discontinued after the 2018 model year but the coupe will stick around for one more year. Cadillac's sporty compact is fully competitive with the revered German-branded cars that dominate sales in this segment. Equipped with a 2L turbo four and automatic transmission, the ATS is fast, flexible and quite refined except when pushed hard, when it takes on a sporting bark. Quick, lively, communicative, beautifully-weighted steering. A firm, yet never harsh ride is allied to near-cerebral handling. The ATS is a very quiet car. Very good driving position. With sleek, contemporary design, lavish materials and rigorous assembly, the ATS's cabin is the benchmark for the compact luxury class. The dashboard features crisp, clear instrumentation, but minor controls, via Cadillac's CUE (Cadillac User Interface) system, don't work as quickly as they should and lead to driver distraction. Firm yet resilient seats front and rear. Cabin space is less than in the comparable German-branded competitors. Trunk space is sufficient, but no more. The ATS was ranked first, ahead of the BMW 3 Series in a multi-car road test. Cadillac has been successful in building a car that, if considered, has a solid chance in diverting BMW 3 Series intenders away from the car that once defined the compact luxury segment. Two engines, a turbocharged 272 horsepower 2L four and a 3.6L V6 with 335 horsepower, are available. A six-speed manual transmissions and an eight-speed automatic, are offered. Rear-wheel drive is available with all but all-wheel drive will be picked by most buyers. Manual transmission is standard on rear-wheel drive four-cylinder ATSs, with an eight-speed automatic standard with the V6 and on ATS variants with all-wheel drive. Offered only with automatic transmission the all-wheel drive system is a $2725 supplement on the sedan and $2200 on the coupe. On the sedan, the Luxury trim upgrade is overpriced and when additional standard equipment in accounted for, the V6 that is standard on the Premium Luxury upgrade costs roughly $4000. The rear-wheel drive only Premium Luxury Performance is very expensive for what you are getting. An eight-speed automatic transmission is standard, with a six-speed manual offered as a no cost alternative on rear-wheel drive versions of the 2L ATS. The coupe body style commands a $2275 to $3375 supplement over a sedan of the same trim level. The ATS-V (464 horsepower turbo) bear MSRPs of $12,900 (sedan) to $14,800 (coupe) than the rear-wheel drive ATS 3.6L Premium Performance coupe. Not rated, insufficient data. Numerous new technologies may increase service costs. A GM extended warranty is recommended it you plan to keep the car past the warranty period. Cadillacs feature four year/80,000 km regularly scheduled maintenance as part of vehicle purchase. GM's new Super Cruise semi-autonomous driving system debuts on the 2018 CT6, and the Teen Driver featured on many GM cars migrates to the CT6. The CT6 is Cadillac's attempt to re-enter the luxury-car big-league dominated by the Tesla Model S in Canada. This is a miniscule market segment in Canada, where buyers in the price range overwhelmingly choose an SUV. The CT6’s elegant exterior, all aluminum, cloaks a chassis constructed from 11 different materials. Despite its imposing size, weight is roughly the same as the mid-size BMW 5 series. Like other recent Cadillacs, the cabin is elegant, modern and sumptuously appointed with impressive attention to detail. Very welcoming seats ally with ample legroom to provide all-day comfort for CT6 occupants. Rear seat legroom is significantly better than in the Volvo V90 and Mercedes E-Class. Trunk space is competitive but not cavernous. Cadillac’s familiar 2L turbo and 3.6L V6 are joined by a 400 horsepower 3L V6 turbo. Power reaches all wheels exclusively via an eight-speed automatic transmission. Active safety equipment such as night vision and pedestrian collision mitigation with full automatic braking is available. Driven briefly in 3L turbo form, the incredibly quick and energetic CT6 could be defined by the term "Hooligan Luxury". The engine emits an intoxicating wail and is keen to race to the redline. The automatic transmission puts the power down and stands ready to serve the driver under all conditions. While firm, the CT6 turbo's ride is supple and insulates CT6 occupants from road shock. While steering feel is minimal, the steering is beautifully weighted, precise and holds its line confidently at highway speeds. The rear-wheel drive biased all-wheel drive system is very entertaining. Good brake feel, no lost motion and strong stopping power lend confidence to the driver. If the CT6 has a fault, it is noise, which is higher than expected, especially in the areas of wind noise and road grit pinging off the underside of the car. All-wheel drive is standard on all V6 models and cannot be combined with the base 2L turbo four. Upgrading from the 2L four and rear-wheel drive powerteam to an all-wheel drive 3.6L V6 CT6 of the same trim level is a bargain. Upgrading from the normally-aspirated 3.6L V6 to the 3L V6 turbo costs up to $4600. Moving up from the base 3.6L CT6 to the 3.6L Luxury trim balances price and content quite precisely. The Premium Luxury model is significantly overpriced and the pricing of the Platinum range-topper is such that there is no relation between value and content. Reasonable lease value. Not rated, insufficient data due to limited sales. Unproven mechanicals. Numerous complaints regarding faulty timing chains on the 3.6L V6 used in various GM products. A GM extended warranty recommended if you plan to keep the car past the warranty period. Cadillacs feature four year/80,000 km regularly scheduled maintenance as part of vehicle purchase. New available features include a heated steering wheel that self-activates and the ability to sync your Apple watch to your CTS via the MyCadillac App. With the ATS now battling it out with the German compact luxury vehicles, the CTS moved upmarket to compete with cars like the BMW 5-Series and Mercedes-Benz E-Class. The cabin is fronted by dashboard with elegant gauges and a visually simple centre stack which contains a number of touch controls that need to be manipulated to get anything to work. Reasonable rear legroom. The rest of the cabin is conservatively elegant and is carefully assembled from attractive components. The CTS shares the 2L turbo four and 3.6L V6 available in the smaller car. The range-topping CTS V-Sport features a 3.6L twin turbo producing 430 horsepower and the crazy CTS-V develops 640 horsepower from its supercharged V8. An eight-speed automatic transmission is the sole transmission choice. All-wheel drive is offered with all but the V8. All-wheel drive costs from $1420 (V6 Luxury Performance) to $2625 (2L turbo) more than the equivalent rear-wheel drive CTS. The turbo Luxury trim upgrade, with leather upholstery, navigation, heated steering wheel, upgraded audio, forward collision, blind spot, rear cross traffic and lane departure warnings, is good value. Swapping the 2L turbo four for the 3.6L V6 on the luxury model costs only $1730. The V-Sport Premium turbo V6 is priced $13,025 higher than the rear-wheel drive V6 Luxury Premium model for an extra 65 horsepower. At $93,385, the CTS-V, which is exclusively rear-wheel drive, is in a different class than less exotic versions of the car. With only 834 units sold in 2016, the CTS is not finding a ready market. Good lease value. Not rated, insufficient data due to limited sales. Unproven mechanicals. Numerous complaints regarding faulty timing chains on the 3.6L V6 used in various GM products. A GM extended warranty is recommended if you plan to keep the car past the warranty period. Cadillacs feature four year/80,000 km regularly scheduled maintenance as part of vehicle purchase. Late life update for the XTS that debuted for the 2013 model year. Exterior styling details include new front fenders, grille and L.E.D. headlamps. The Cadillac User Experience (CUE) is updated and includes the iOS-Android cellphone interface. The cabin has comfortable seats and abundant space, front and rear. The interior is attractively styled and sumptuously appointed. Cadillac's traditional V8 engine is no more as the XTS is powered by a 304 horsepower 3.6L V6, which is a strong, smooth powerplant, but has had a chequered career for reliability in other GM products it is used in. Front-wheel drive is standard, with all-wheel drive optional on all models except for the turbocharged V, on which it is standard equipment. Front-wheel drive: The Luxury and Luxury Premium trim upgrades are overpriced. The Platinum trim is priced nearly three times the value of its actual content. All-wheel drive adds from $1800 to $1900 more than a front-wheel drive version of the same trim. The V-Sport model is priced nearly $6000 more than an all-wheel drive Platinum model. The Chevrolet Impala is built on the same set of components and is, brand and a few luxury fripperies apart, a cheaper substitute for the XTS. Not rated due to limited sales. Numerous new technologies may increase service costs. A GM extended warranty is recommended it you plan to keep the car past the warranty period. Cadillacs feature four year/80,000 km regularly scheduled maintenance as part of vehicle purchase. Active Safety Features: Available adaptive cruise control, forward collision alert and lane departure, lane keep, blind spot and rear cross traffic warnings. Additional airbags: Knee airbags for both front occupants and side airbags for outboard rear passengers are standard. The new G70 puts Genesis at the heart of the high-volume compact luxury sedan market. Not only is the acceleration delivered by the G70's 365 horsepower turbocharged 3.3L V6 breathtaking, the sounds it makes while working hard border on intoxicating. Impressive passing power is facilitated by the smooth, responsive eight-speed automatic transmission. The sophisticated all-wheel drive system on our G70 tester has a default 100 percent rear-wheel drive bias, enhancing the sporty feel of the car. Precise, quick and communicative steering. On our V6 test car the crisp, neutral handling, aided by the gigantic 19 inch wheels and super low-profile tires on our V6 turbo, was complimented by firmly compliant ride free of any road shocks. The Brembo branded brakes are strong, predictable; with great brake feel. In a recent four car test, the G70 easily eclipsed the Audi A4, Infiniti Q50 and Mercedes C300 and was the overwhelming choice of all drivers on the road test team. The G70's cabin is elegant and sumptuously outfitted. The driver faces crisp instrumention and the controls for the climate and audio systems are straightforward and easy to use. The front seats are very comfortable and legroom is ample. However, headroom is tight and the very wide centre console intrudes on the space available for the front seat passenger. The rear bench seat is substantial and supportive, but legroom is very tight, and after you struggle to get your feet into the car you find there is little space for them under the front seat. The rear seat of the G70 is the tightest of the mainstream cars in its class and its space constraints will be a deal breaker for those who need a true four seater. Good trunk space. Strong air conditioning during sweltering weather but the performance of the heated steering wheel was disappointing on its top setting. The audio system of our loaded V6 car was exceptional. The G70 will go head-to-head with compact luxury stalwarts like the Audi A4, BMW 3 Series, Lexus IS and Mercedes-Benz C-Class. 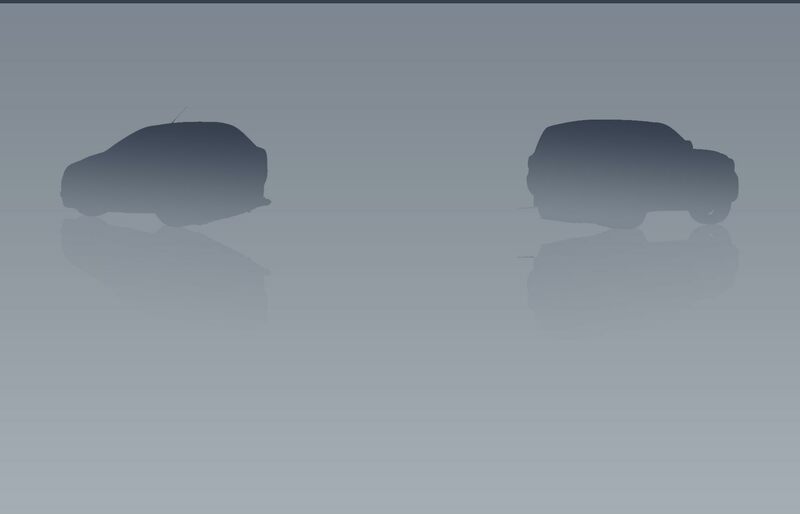 It's the third vehicle to be released under the stand alone Genesis brand name. Except for the rear-wheel drive, manual transmission 2.0T Sport model, all G70s feature all-wheel drive. Engine choices include two turbos, a 2L four and a 3.3L V6. Genesis has stepped outside the conventional dealership model to distribute its cars in Canada. Like Tesla in Canada, vehicles are sold on a fixed price model and can be purchased online or at a limited selection of boutiques located in fashionable areas. If a potential buyer wants a test drive, a car will be brought to them. When their cars need service, Genesis owners need only book a service appointment as Genesis personnel will deliver a loaner car, collect the car to be serviced and return it when the work is done. Genesis is on a very slow roll-out in Canada and sales have been disappointing. This new G70 gives the firm a vehicle at the heart of the high-volume compact luxury sedan market, which should bring in some new customers. However, what the brand desperately needs in Canada to build sustainable volume is a luxury crossover vehicle, the fastest growing segment attracting luxury buyers. The rear-wheel drive Sport trim is not a low MSRP price leader but a specific package to engage buyers seeking traditional rear-wheel drive performance that can be combined with a manual transmission. Most G70's sold in Canada will be equipped with the available all-wheel drive and eight-speed automatic transmission powertrain. Moving up from the base all-wheel drive Advanced model to the Elite trim includes features such as L.E.D. headlamps, leather seating, rain sense wipers, navigation, branded audio and a power passenger seat, and is very good value. In contrast, the 2L Prestige upgrade lacks value for the money asked. Of the $5000 price bump to migrate from the 2L Elite to the 3.3L Dynamic, about $2000 can be attributed to additonal features, with the balance generated by the V6. Opting for the V6 Sport compared with with with 2L Prestige has enough additional equipment to justify its higher price but includes the V6 as well. Compared with its German-branded rivals, the Hyundai is not only a fantastic car but is also tremendous value. Very good value leasing. Five year/100,000 km warrenty. Regular scheduled maintenance, including car pick up and a courtesy car, for five years/100,000 km, is included in the price. Consumables, like brake pads, wiper blades and tires, are not part of the maintenance plan. New Sport trim with a 3.3L turbo V6. The first Genesis car failed in Canada as it was offered only in rear-wheel drive, a non-starter in this market. The new car, introduced as the Hyundai Genesis, has been renamed the Genesis G80 for 2017. Supple leathers, real alloy trim and acres of genuine wood (fashionable open-pore on fancier versions) line the cabin. G80 denizens are cosseted in the embrace of supportive seats and enjoy generous space for a sedan with a space-inefficient rear-wheel drive layout. Power choices include a 3.8L V6 as well as a 5L V8. Power reaches all wheels via an eight-speed automatic transmission connected to an active rear-wheel biased all-wheel drive system with a 40:60 default front-rear bias, but can shift torque around the car to gain and maintain optimal traction. A full array of active safety gear is available, including Autonomous Emergency Braking, Lane Keeping Assist and Adaptive Cruise Control with stop-and-go capability. Genesis cars are not sold at dealerships but via the internet or at boutiques is upscale fashionable areas. The cars are sold on a fixed price basis, including freight and pre-delivery inspection. Cars will be brought to a potential buyer for test drives and when owners book their cars for service, a loaner car will be dropped off and their car will be taken to a service point, the necessary work done and the car returned. Not rated, insufficient numbers sold to create a profile. Previous Genesis sedan exhibited navigation-entertainment system glitches which Hyundai were unable to fix. Active Safety Features: Autonomous Emergency Braking, Lane Keeping Assist and Adaptive Cruise Control with stop-and-go capability.